Be Safe. Live Healthy. Connect. 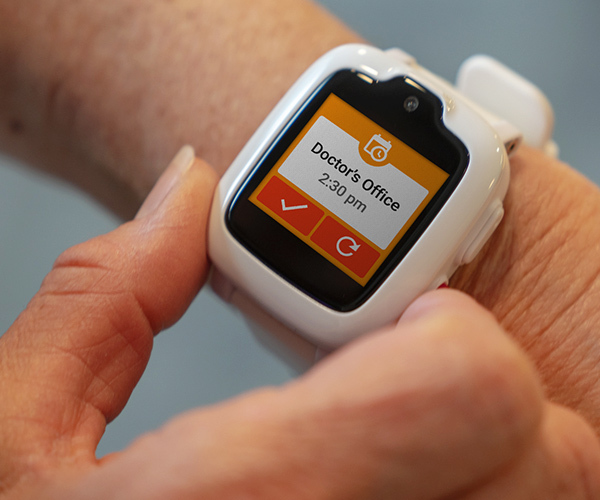 Finally, a device older adults can count on and loved ones can keep track of. 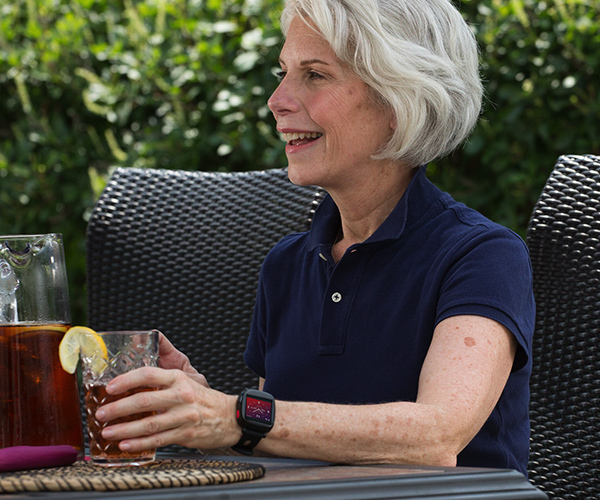 Lightweight and simplistic with large touch-screen icons, Freedom Guardian will give older adults the tools to age healthily and the confidence to live a life without limits — discreetly and with style! 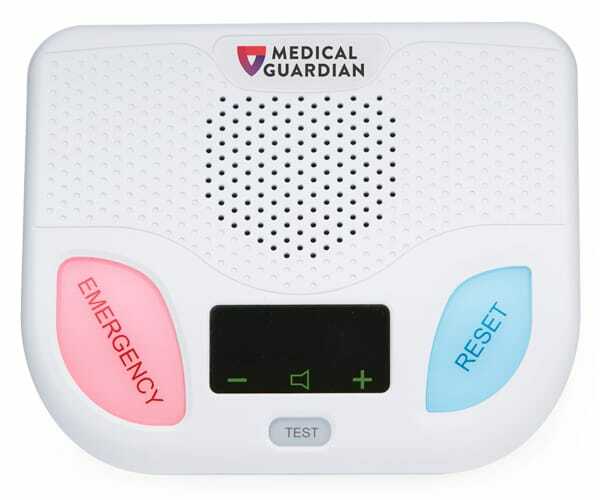 Freedom Guardian is a revolutionary, all-encompassing approach to medical alert systems, incorporating features that will provide day-to-day support for users and their loved ones. 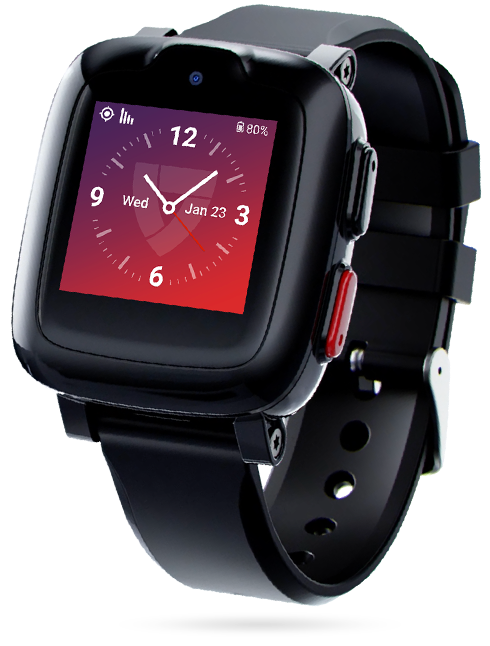 Through GPS, Wi-Fi Positioning Systems (WiPS) and triangulation, help can be sent to the wearer’s exact location within the U.S., even if they’re unsure of their own location or unable to give the dispatcher tracking details. Stay connected to loved ones through Freedom’s read-out-loud SMS messaging. 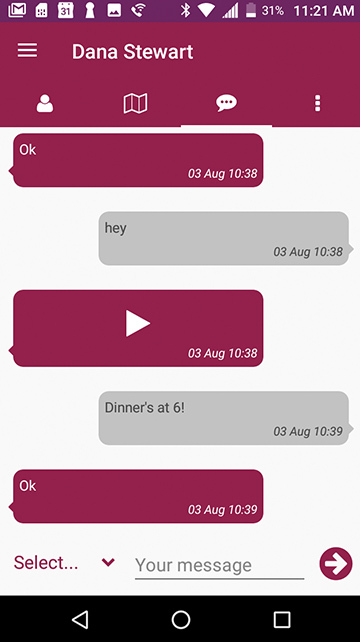 With no keyboard required, watch users can easily receive and respond to SMS messaging from their Care Circle. 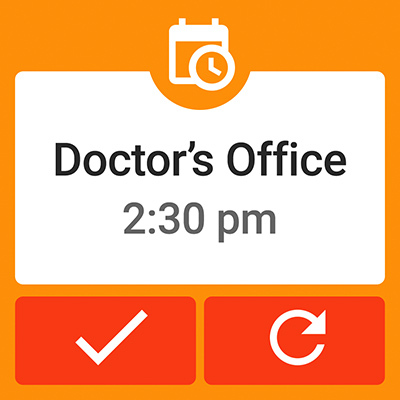 From taking medications to being on-time for doctor’s appointments and attending the most important social events, Freedom Guardian’s Calendar Alerts and Reminders help manage day-to-day tasks so older adults will never miss what matters most! 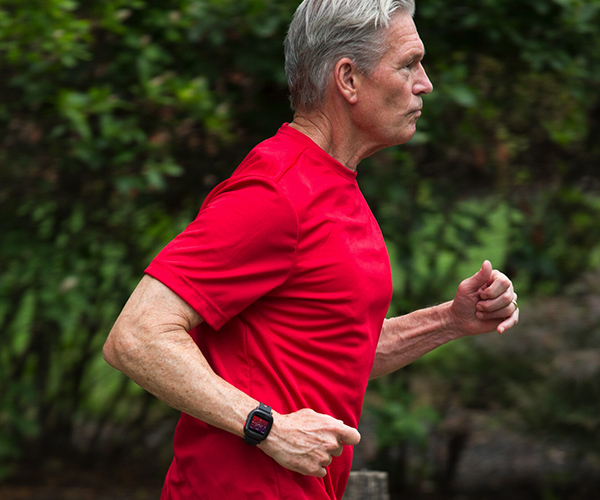 Unlike any other smartwatch on the market, Freedom Guardian has a simplistic design with easy navigation features to best fit an older adult’s lifestyle and needs. 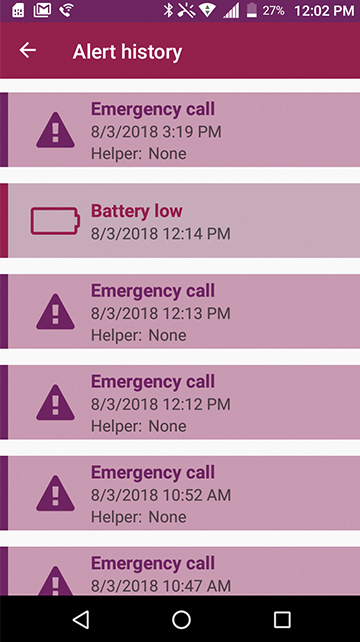 Viewable on every screen, ensure full protection knowing when your battery needs to be charged through 15%, 10% and 5% low battery alerts. 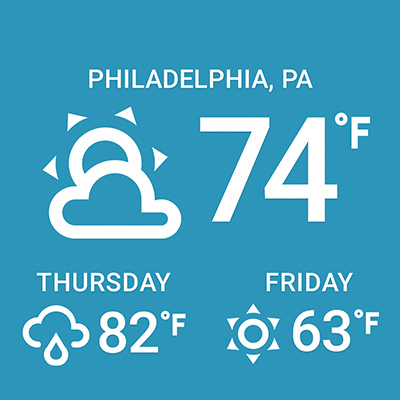 Clearly displays the current time of day, date and day of the week in hi-res full color. Simply press the red button on the side to navigate the watch features. Or press and hold for 3 seconds to request emergency assistance. 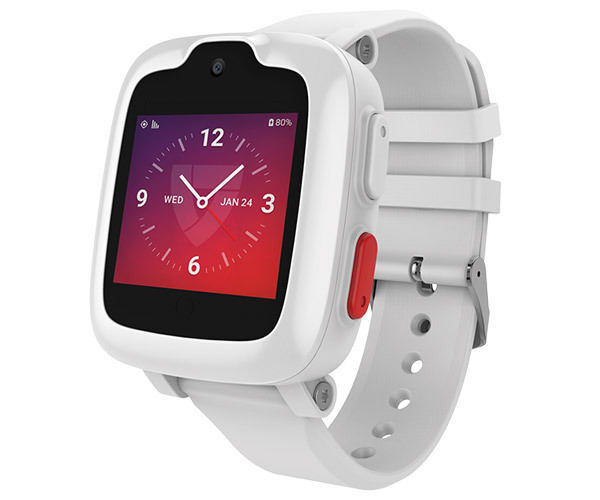 Created from a custom high performance soft silicone, the watch band is durable, yet lightweight and flexible, making it comfortable to wear on-the-go throughout the day and night. 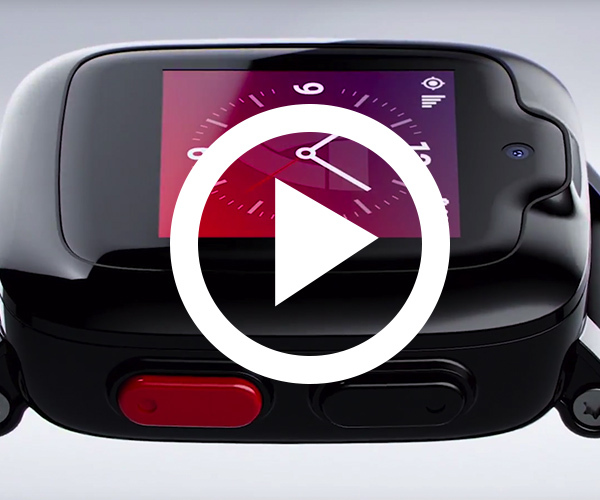 With integrated mobile phone and two-way communication capabilities, this standalone all-in-one wearable medical alert device is the most reliable senior smartwatch on the market. With its simple left/right screen navigation, large touch-screen icons and hi-res color screen, Freedom Guardian is useful for people whose eyesight may not be as good as it once was. Reads aloud the date, time, messages and calendar alerts aloud through the watch. 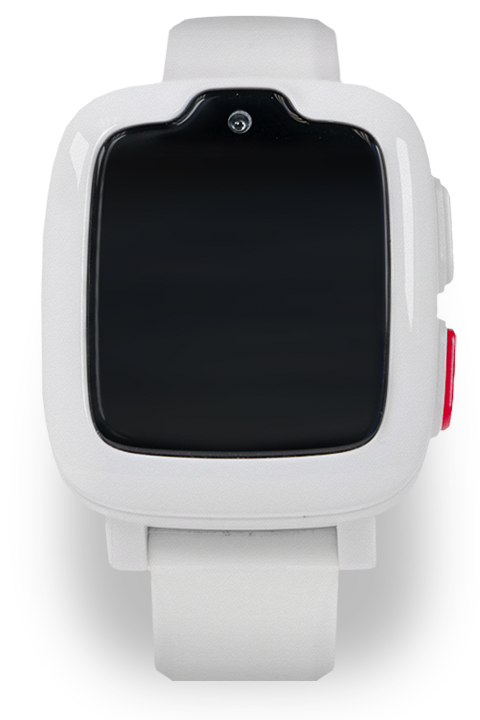 The smartwatch comes in a black or white watch color and band option—giving you the freedom to choose. 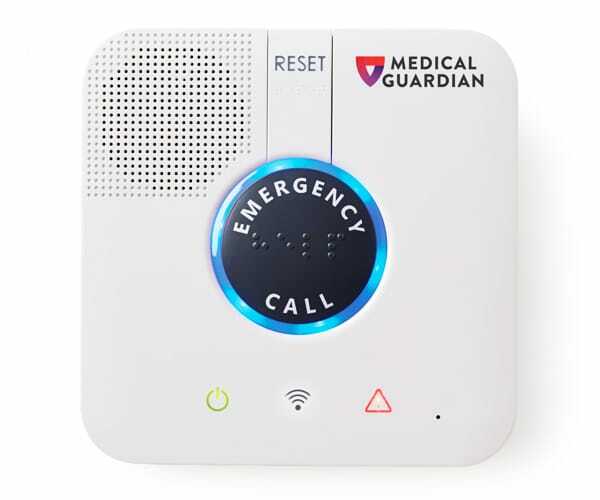 Through a pre-installed SIM chip with cellular service and no Bluetooth needed, Freedom Guardian has full functionality to operate its features and request emergency assistance. Our goal is to provide 100% protection and encourage healthy aging through affordable pricing, with the customer at the forefront. 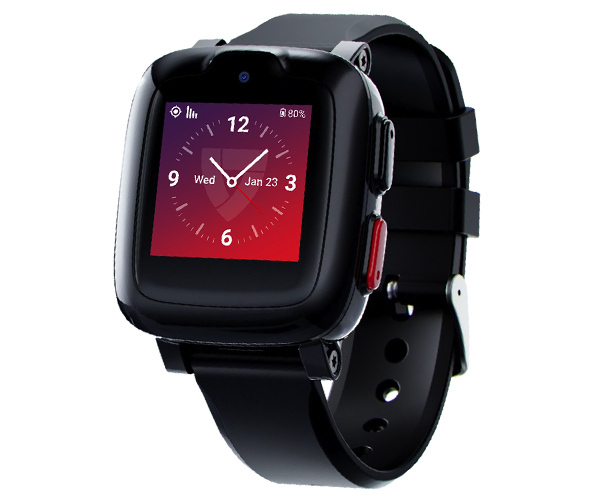 Through GPS, Wi-Fi and Cell Tower Triangulation, the wearer’s location will always be viewed and easily tracked. 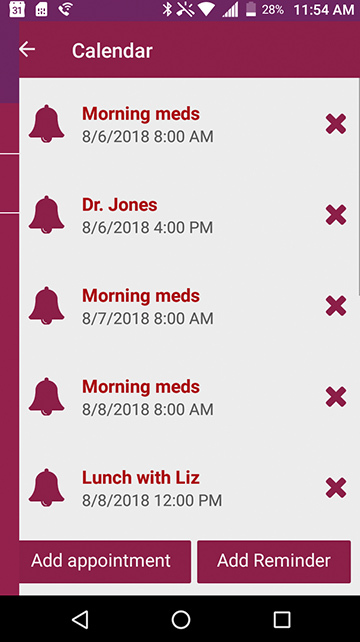 Care Circle members can have the peace of mind knowing they can get ahold of their loved one at any time, while having access and keeping track of their daily schedule and routine — all through the mobile app. 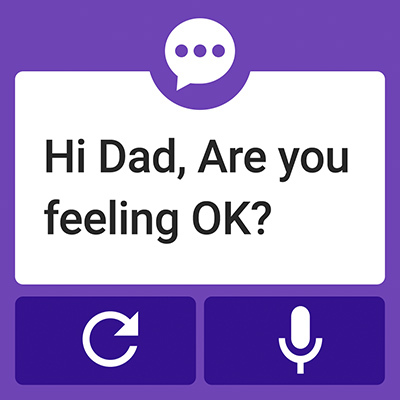 Send and receive SMS messages to communicate with loved ones any time of the day. 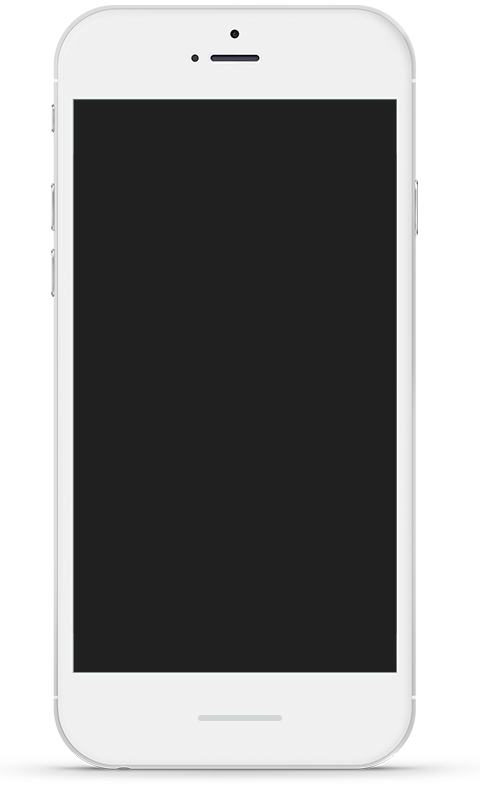 Also receive notifications when messages are received and acknowledged. 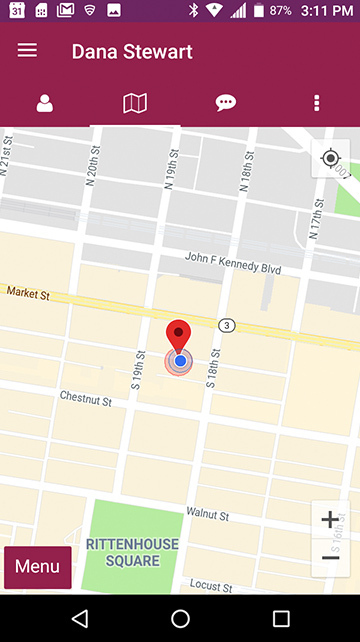 View the wearer’s current location through GPS and Wi-Fi capabilities via Google Satellite View, with the ability to get directions to where their pinpointed location is — if needed. No need to ask your loved one if they experienced any health issues that day. 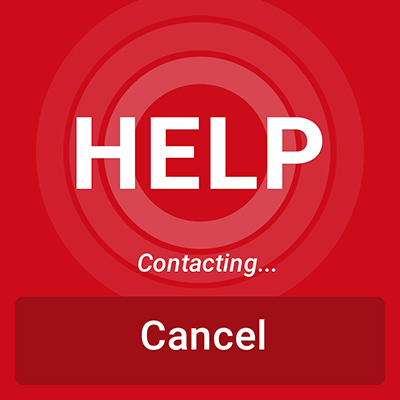 A history of alerts is provided for you to review instances that required emergency assistance. Make your loved one's day a little easier by scheduling important daily tasks, such as drinking water, taking medication, or going for a short walk. 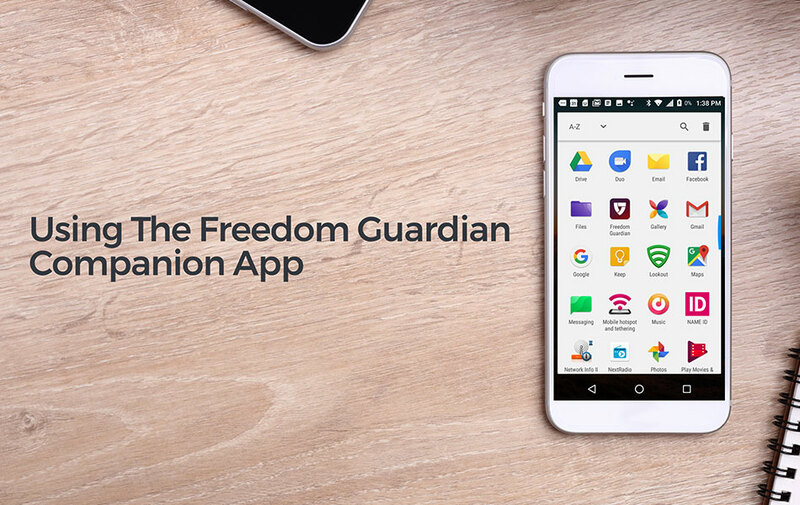 The Freedom Guardian mobile app is available for download from the App Store and Google Play. 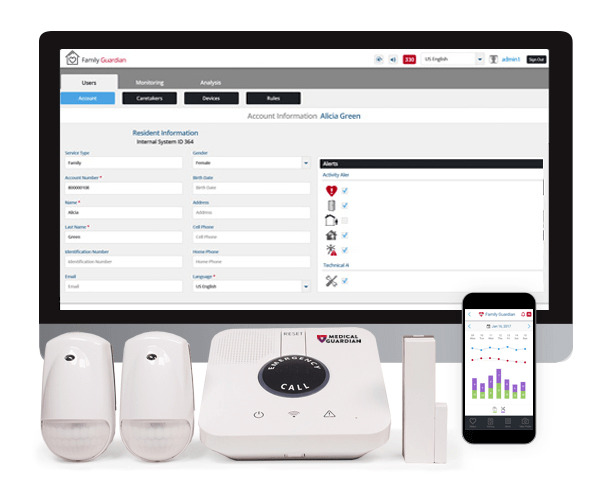 Enjoy the same monitoring benefits and connectivity capabilities the companion app offers — including SMS messaging, location tracking, emergency alert history and managing daily tasks — all through your computer desktop. Basic account information and Care Circle contacts, resources – manuals, tech support, etc. You can also chat with a Customer Care representative should you need help. With no limit to how many times you can request help, feel empowered to live the life you’ve always wanted knowing help will always be there. Answers to some common questions about the Freedom Guardian. Freedom Guardian holds a charge for up to 48 hours depending on usage. How often should I charge my device? To be safe, it is recommended to place on the charger every night. Is there a limit to messaging on the watch? No, your caregiver/loved one can send unlimited messages to you through their caregiver portal. Is there a limit to the number of emergency button pushes? No, your watch can make an unlimited number of emergency calls to the monitoring center for help. Got a question not answered in the FAQ? 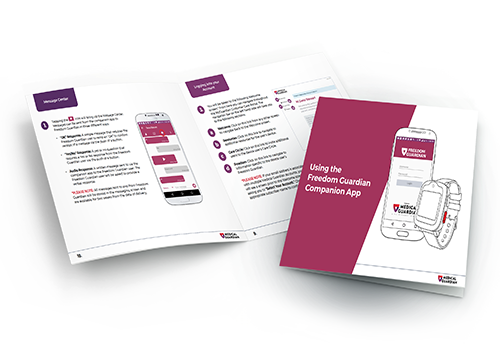 The following How-To Guides and Manuals are available for download in PDF format*. Freedom Guardian has an IPX7 rating, which means that it is showerproof. If Freedom Guardian gets wet, remove and completely dry before putting it back on. Take your Freedom Guardian off occasionally to let your skin breathe, and make sure to regularly clean your band and wrist. 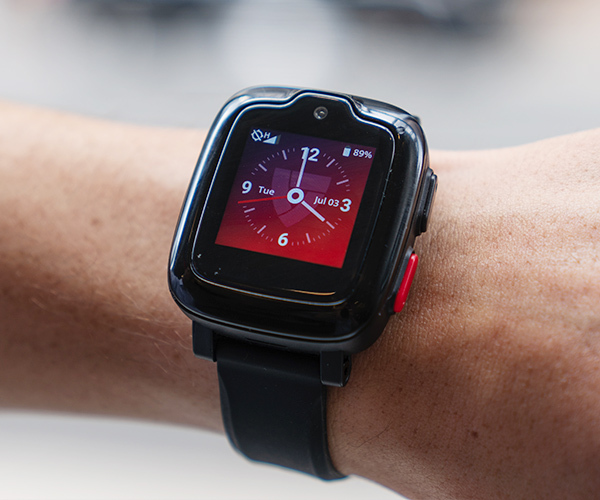 Freedom Guardian has a battery life of up to 48 hours. Battery life and charge cycles will vary with use, settings, and other factors—actual results will vary. 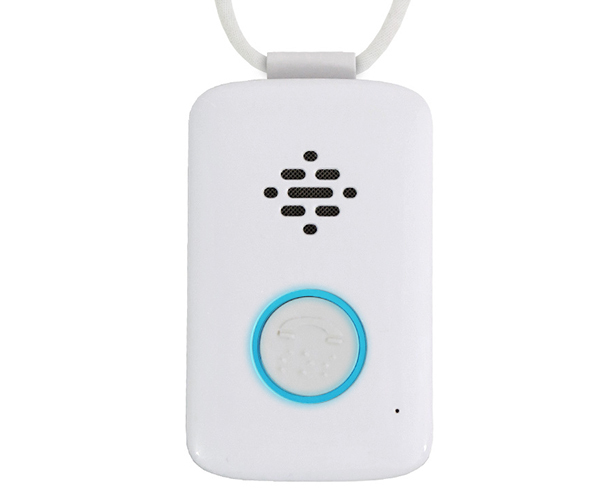 We recommend charging your Freedom Guardian every night to ensure your 24/7 personal safety. 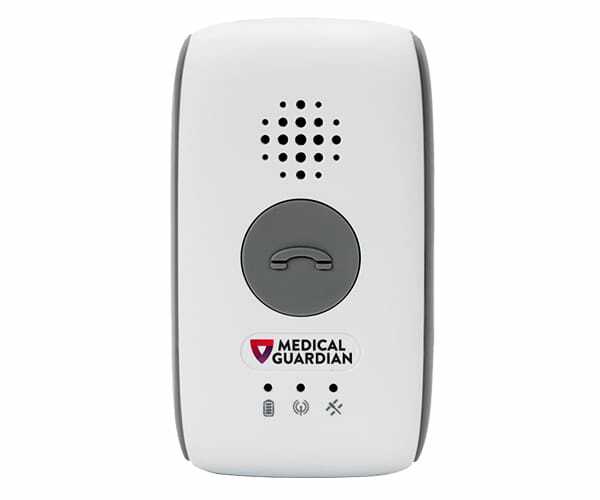 Rest assured your medical alert system will be on its way as soon as you place your order, with no delivery charge. While other companies charge for activation, Medical Guardian assists you in activating your device free of charge. Receive 1 FREE Month of service when you choose an Annual subscription plan for any Medical Guardian device. Want to get started now? Call us and use promo code "2FREE".